Please see a short monthly report and some important information regarding Nitya-seva installments. 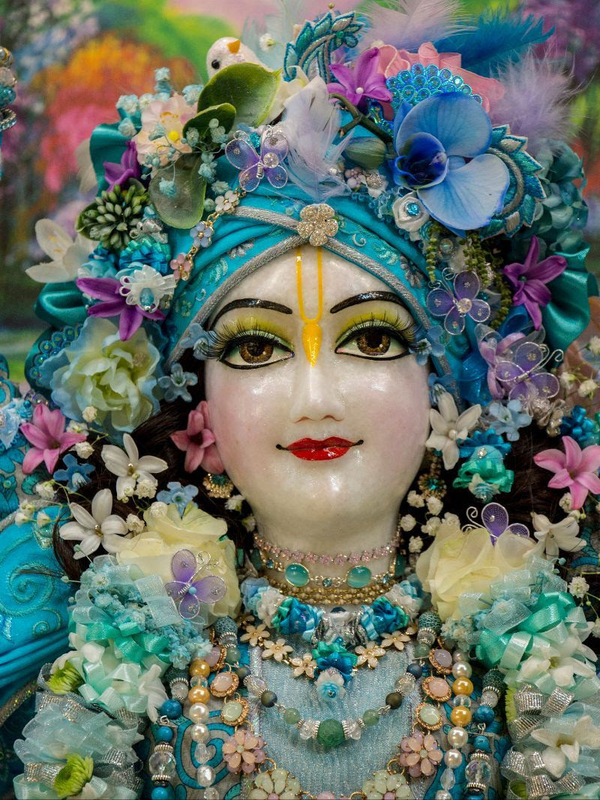 The landscape of New Vrajadham was constantly changing in January as huge snow storms gave way to mild, sunny days, and back, thus letting Radhe-Syama perform Their winter and spring pastimes in frequent succession. Snow drops were peeking trough the melting snow, accompanied by winter jasmine and the tiny yellow honey scented wintersweet blossoms in Radhe-Syama’s garden. Homegrown flowers are a real treasure this time of the year and devotees are fast to spot and collect them to be offered to Their Lordships. 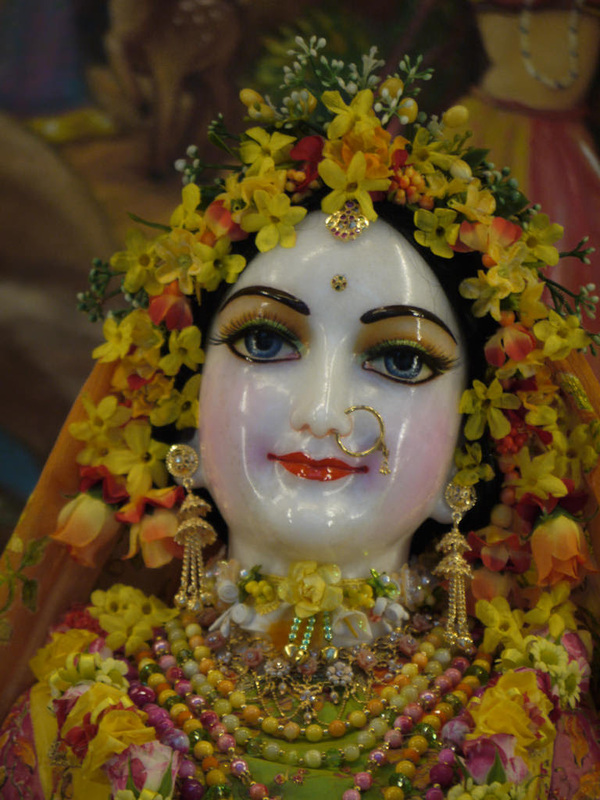 Jasmine and the tiny yellow flowers decorate the hair of the Divine Couple and snow drops are tied into bouquets to attain the perfection of their lives in Srimati Radharani’s hand. 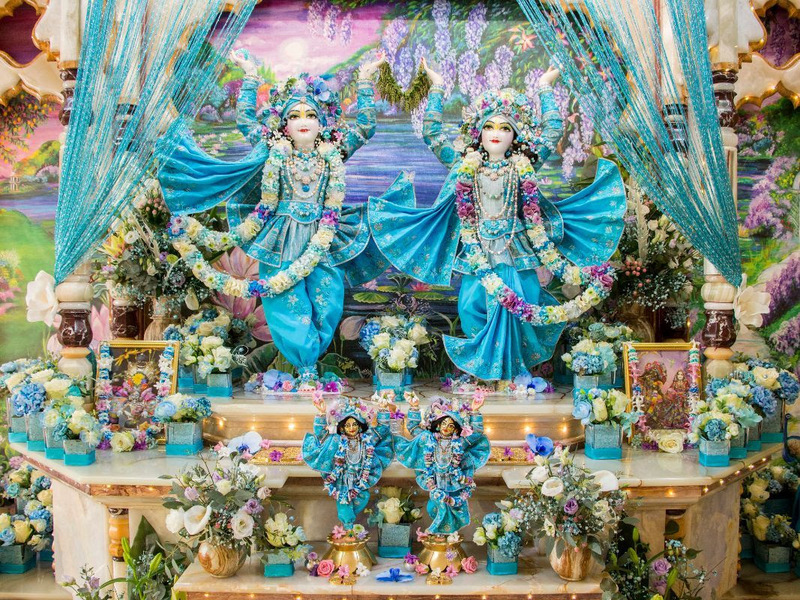 The last weekend in January saw our celebration of the 26th anniversary of the installation of Sri Sri Dayal-Nitai Vijaya-Gauranga at the Budapest temple. 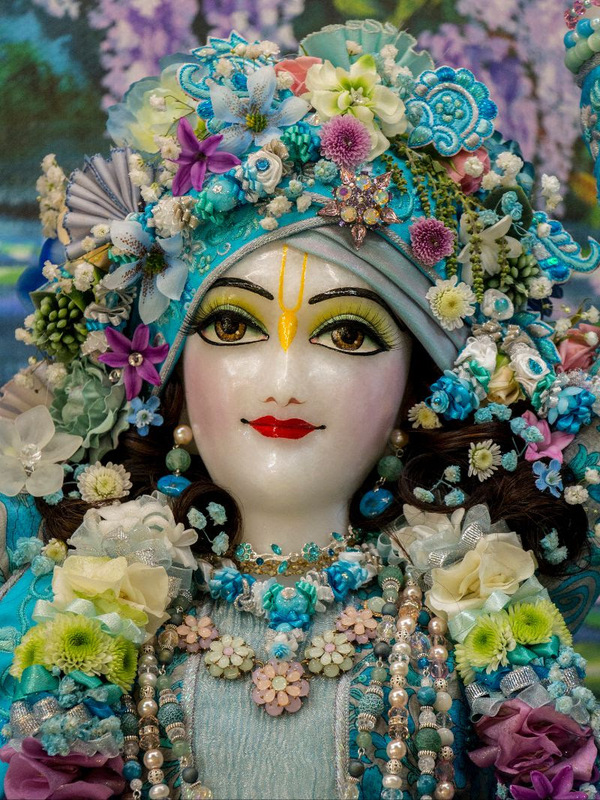 The program started with a blissful kirtan that reached its peak when Gaura-Nitai gave Their darshan dressed in exquisite new blue outfits, surrounded with matching blue decorations. The class glorified Their preaching mood and was followed by abhisekha. 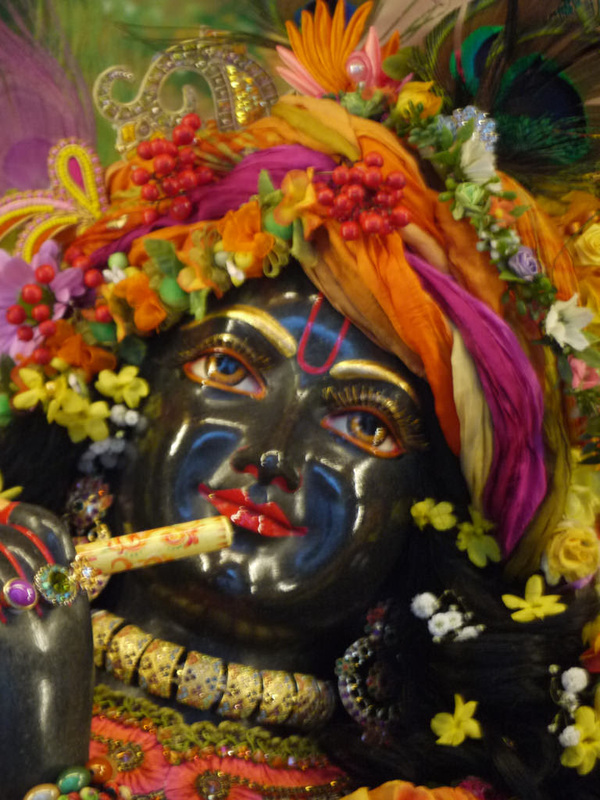 Prior to the feast we viewed a film giving us an insight into the successful preaching activities in Budapest, such as book distribution, monthly sankirtan days for the congregation, harinams, Food for Life and the programs at Bhaktivedanta College. The main focus, however, was the success of the bhakta-program. Events at Govinda-club attract a lot of young people many of whom get inspired to engage in full time service at the temple. We welcomed three new sponsors into the Nitya Seva group last month! We would like to thank them very much for joining and to express our continued appreciation and gratitude to all of you for your regular donations towards the worship of Radhe-Syama and Gaura-Nitai. We would like to take this opportunity to humbly request all who are paying their contributions by instalments, to do so through bank transfer. If that option is not available, please ensure your cash donations go directly to the Nitya-Seva Team: Syamajiu Dasi, Mohana Das or Anuragi Dasi, who will issue you a receipt. Cash donations are also welcome at our Nitya Seva stands during festivals. These are the only ways we can guarantee tracking all your payments. Please avoid sending cash donations through intermediaries, as this can delay the receipt of the donation to the Nitya-Seva department and sometimes the cash may even end up at other temple departments! We know that many of you would like to please Srila Sivarama Maharaja by giving him your donations personally but please bear in mind that he is travelling from one destination to another and from one program to another. He is really worried carrying all this laksmi around until he can find a way to get it to its desired destination! We would like to humbly request you to take the burden off his shoulders by using the aforementioned methods of payment. Please know that Nitya-seva has a special place in his heart so are all the donors who help him in his service to Radhe-Syama. He personally monitors all aspects of this project and he is aware of all the sponsorships that you made. Thank you very much for your understanding and your cooperation. Jaya Radha-Syama! 2nd, 3rd, 4th, 7th, 9th, 11th, 13th, 15th, 19th, 20th, 22nd, 26th, 27th and 28th of February.